Being in an honest and loving relationship is many times a key element to living a happy, successful, and flourishing life. However, we sometimes forget that communication plays a crucial role in having such a connection with your partner. Unfortunately, how to communicate effectively, especially in a relationship, is rarely taught to either men or women. For this reason, even if you have the best intentions, you can sometimes feel unheard and unable to have real authentic conversations with your partner, which leads to frustrations and tensions. Many couples find their communication stuck in a loop of heated and unproductive arguments that always revolve around the same topics. This kind of behavior can create defensive responses and alienations which can ultimately damage or even put an end to the relationship. The good news is that there are ways in which you can significantly increase the quality of the conversations you have with our partner, so that you can manage to have the type of communication that builds a lasting relationship. Just as a coffee mug can be looked at from two sides, one with a handle and one without one, while the object itself remains the same, a relationship is seen from two perspectives. Many times, the inability to see or accept the partner’s perspective can alter the way we communicate. Even if at this moment you cannot see your partner’s point of view on a certain topic, just acknowledging the fact that it exists and that it is valid and relevant can help improve the situation. You might not realize it, but you look at situations in your life through your own belief system and patterns of thinking that were either learned or developed throughout time. For this reason, in order to establish healthy communication, you should first acknowledge the existence of these layers and work from there. If you feel like a longer and more serious conversation is needed, then choose the right time and place to have it. This is even more important if you are both busy, in order to avoid the frustration of trying to ignite a conversation only to find out that your partner is not mentally available for it. If that works, you can even schedule it and go for a walk or a long drive in order to make sure that both of you are relaxed and fully present. Just as stated before, remember that we all have a layer through which we look at things. It’s unproductive to judge your partner for the things he is doing, although sometimes this is the first natural inclination when we perceive a behavior that we don’t like. A negative conversation with judgments, attacks, and criticism will only trigger defensive responses from your spouse and thus turn off the possibility of a real and authentic conversation that can actually bring beneficial insights into your relationship. In order to enjoy a fulfilling relationship, create a safe space in which to honestly and respectfully work through your differences and take responsibility for the impact of what you are saying and doing. Although the truth might sometimes hurt, being honest is the best policy if you want to enjoy a healthy relationship for a long period of time. For this to happen, you should first know yourself very well, so that you can differentiate yourself from external influences that come from education or society. 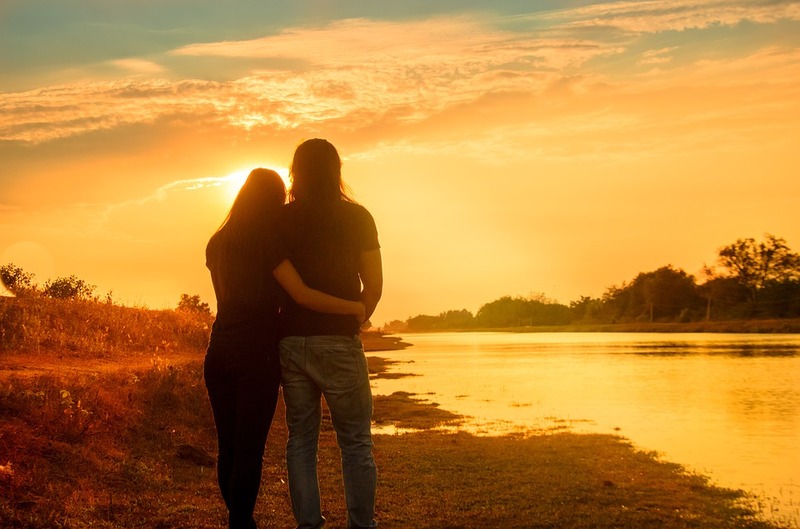 Of course, being honest doesn’t mean being hurtful, but if you aren’t open about the things that you feel and observe, in the end, a cynical attitude might be developed, and that can later distort reality and exaggerate your partner’s flaws. Some researchers have found that sharing insignificant details such as the weather or talking about a TV show can actually be more likely to improve the close emotional ties with your partner, than deep long conversations. Finding smalls ways of getting closer such as making a grocery list together can be a way of sharing space and time and of showing love. So you can take your picnic blanket, grab your travel coffee mug, and go to the park with your partner where you can just do nothing together.